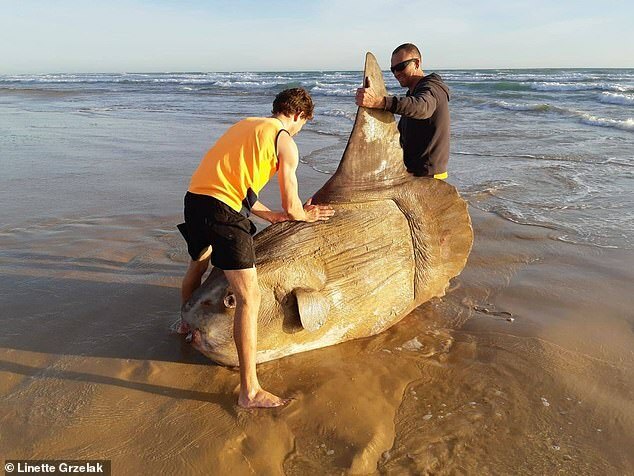 Two fishermen found a huge sunfish washed up on a deserted beach in South Australia. 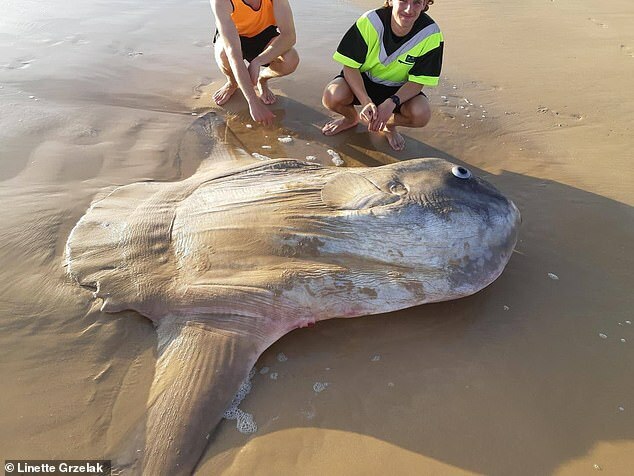 The giant sunfish is believed to be around 2.5m in length and weighed several hundred kilograms. 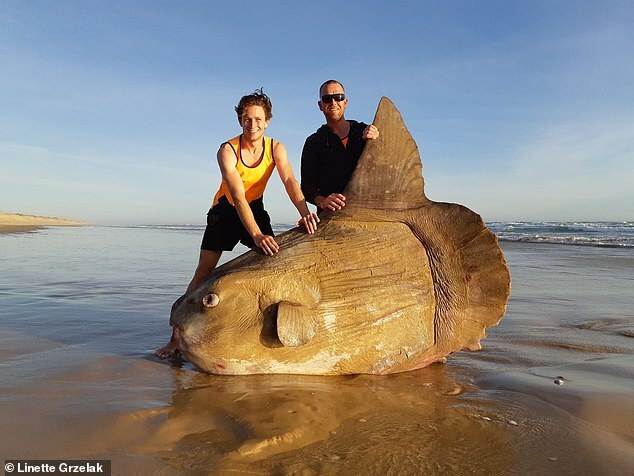 Supervisor Steven Jones was out with his fishing team at of Goolwa Pipico when he discovered the sunfish 25 km east of the River Murray mouth.